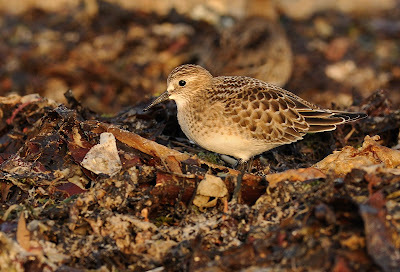 The light was stunningly clear this evening and these were two of the best images of the evening. They are both RAW files and apart from a bit of cropping to compose a better image, they are original and barely altered. Exposure was dropped to -1.0EV to compensate the bright light. ISO was a low 200. Good shots, the first one enlarged is my favourite really sharp and clear, great lighting as you said. 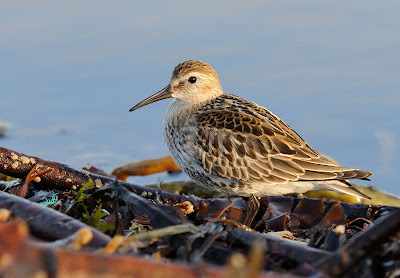 The Baird's is nice, but that Dunlin shot is a stunner! Superb!